We wish you a happy Veggie & Bio life in 2018 ! 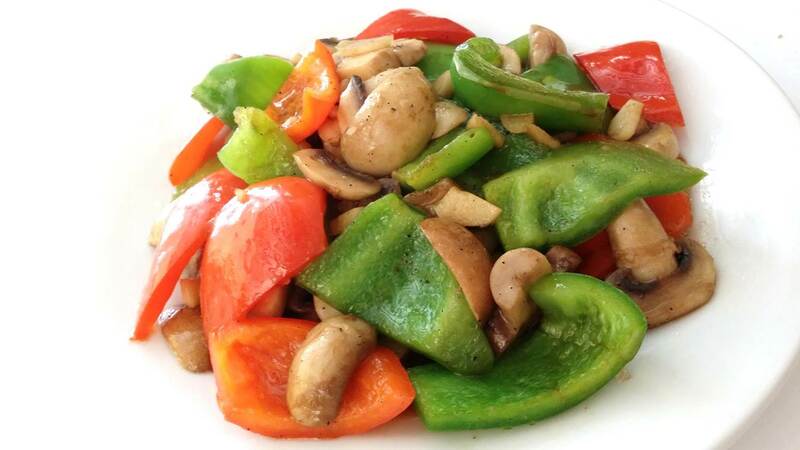 A delicious and nutritious New Year's gift for you: organic mushrooms stir-fried with bell peppers. Let's go! 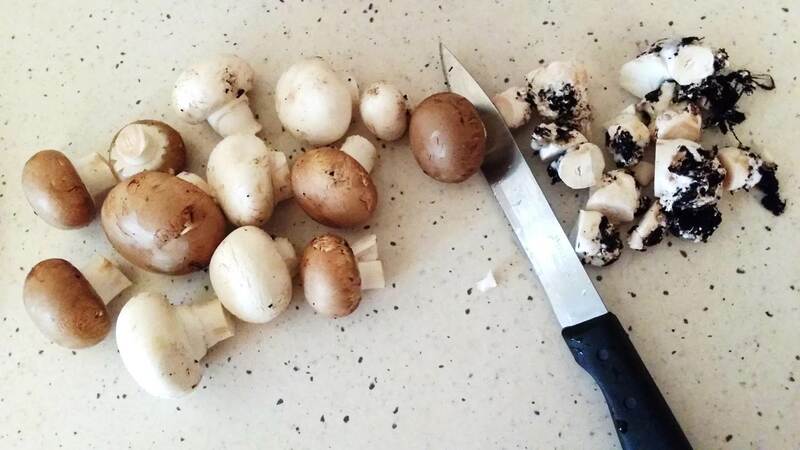 Prepare the ingredients: Cut the tails of the mushrooms. 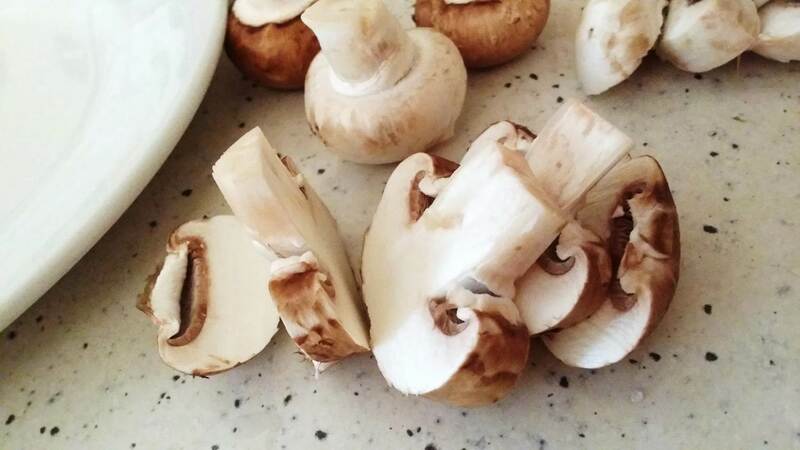 Cut the mushrooms into 1cm thick pieces. 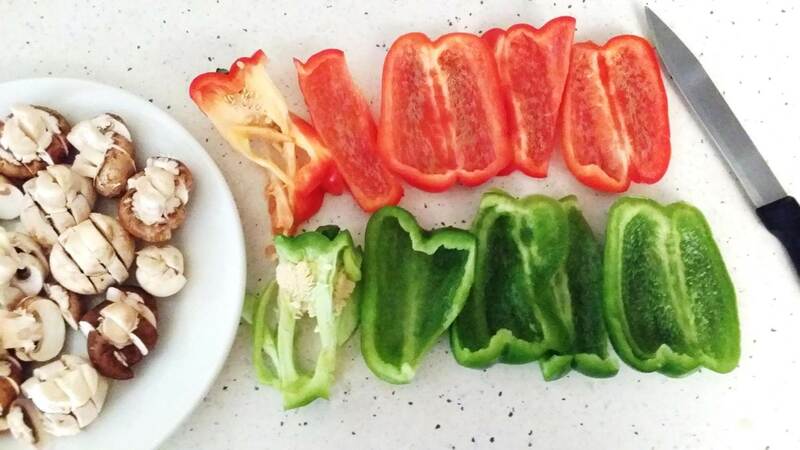 Prepare the peppers, cut them into pieces, remove the white stems inside. 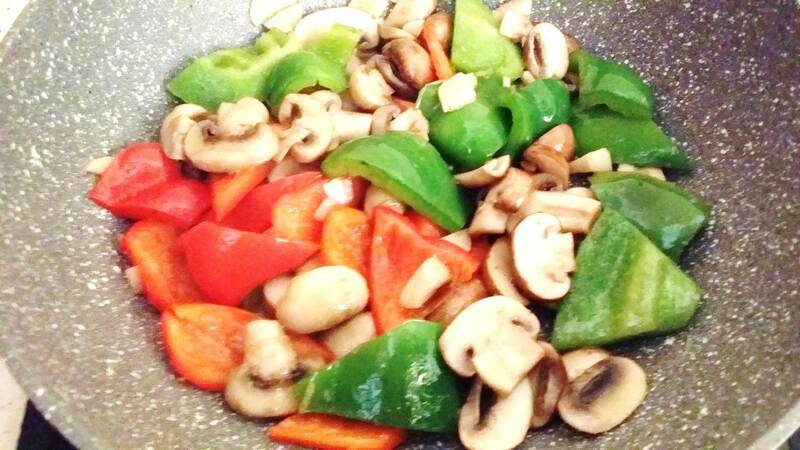 Cut the peppers into small irregular pieces. 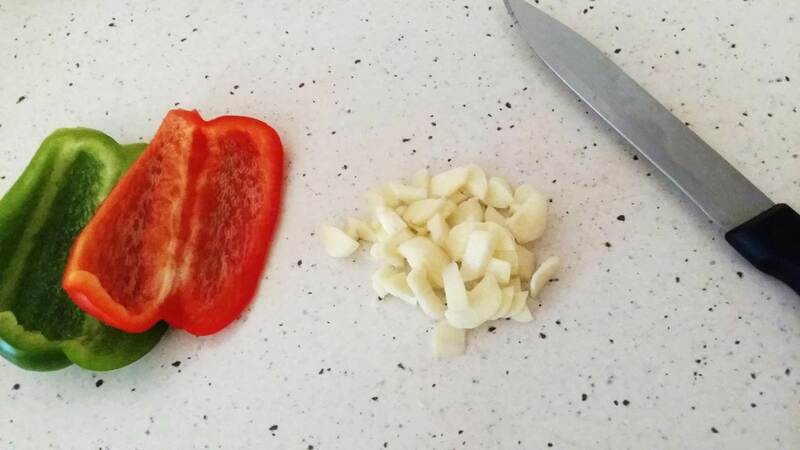 Cut the garlic into small pieces. 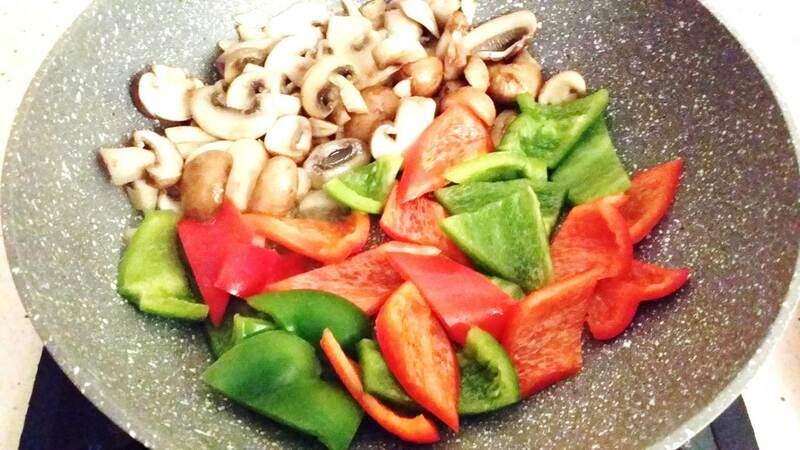 Heat the stove, pour a little organic olive oil. 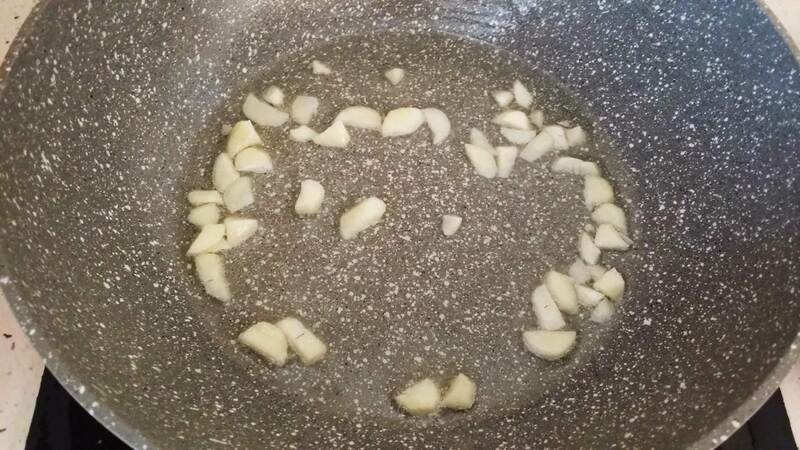 As soon as the oil has heated, pour the garlic. 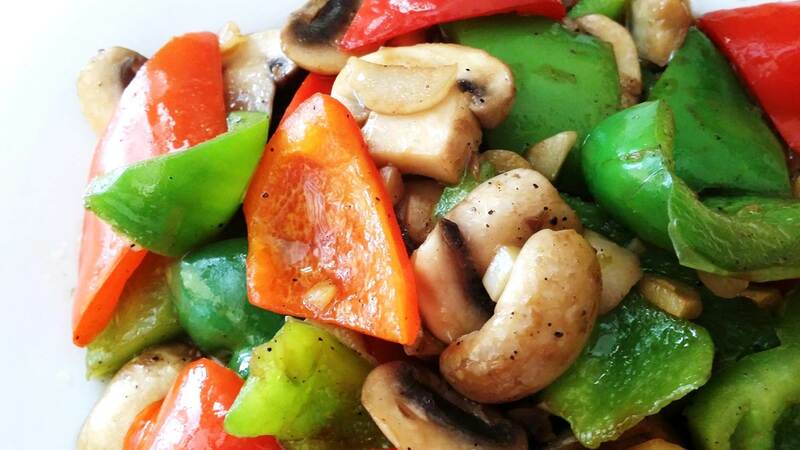 stir-frie it up a bit. 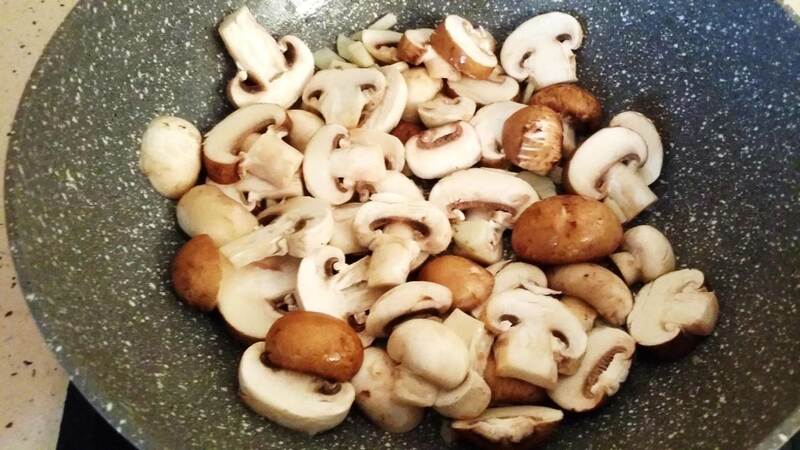 As soon as you smell garlic, pour the mushrooms, start to stir-frie them. 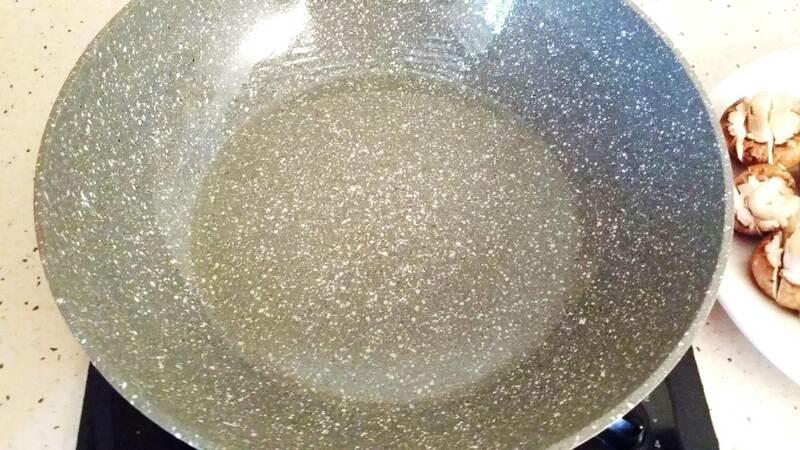 Stir frie a little, cook on the stove, then continue to stir-frie. 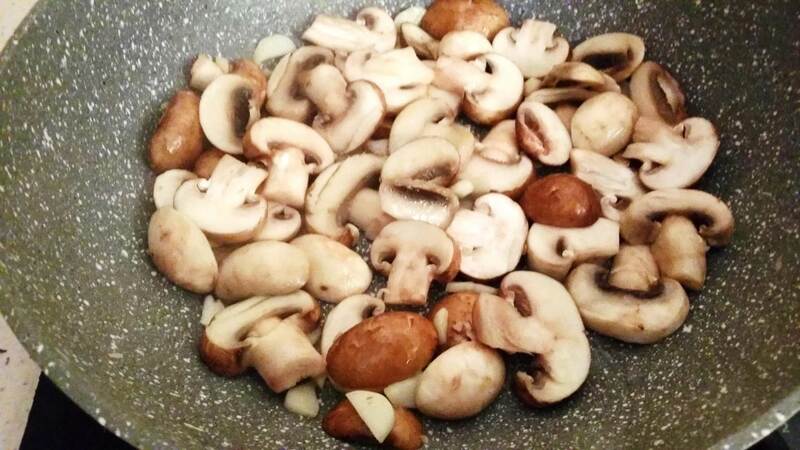 until the mushrooms are soft, smooth, and there are some little juice. 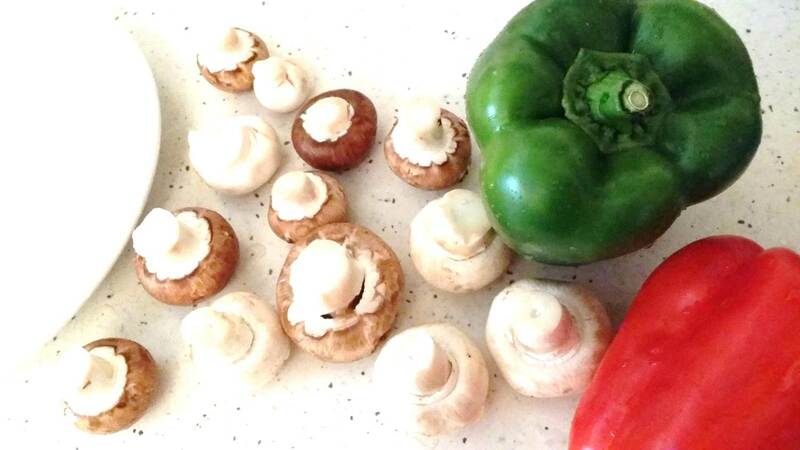 Place the mushrooms on one side of the stove, pour the peppers. 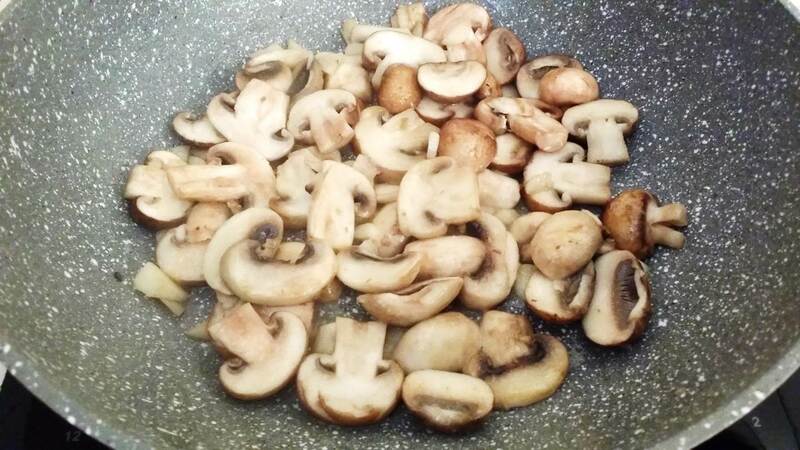 After stir-frie them up a little, let them cook on their own in the stove. 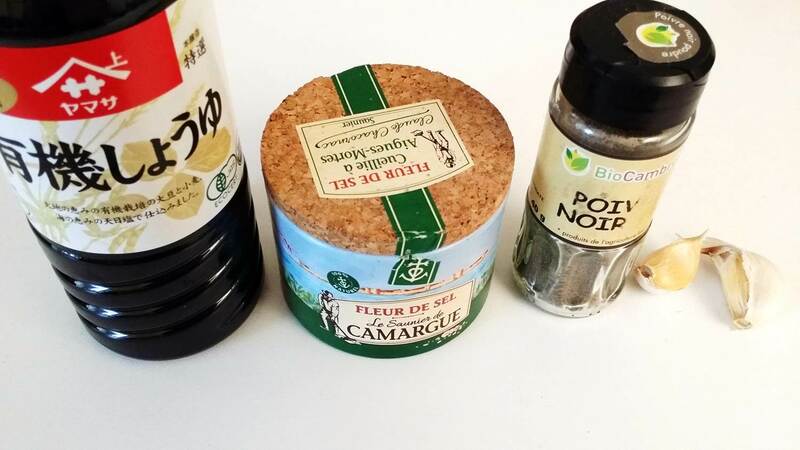 Put a little flower of salt, soy sauce, cane sugar, black pepper. 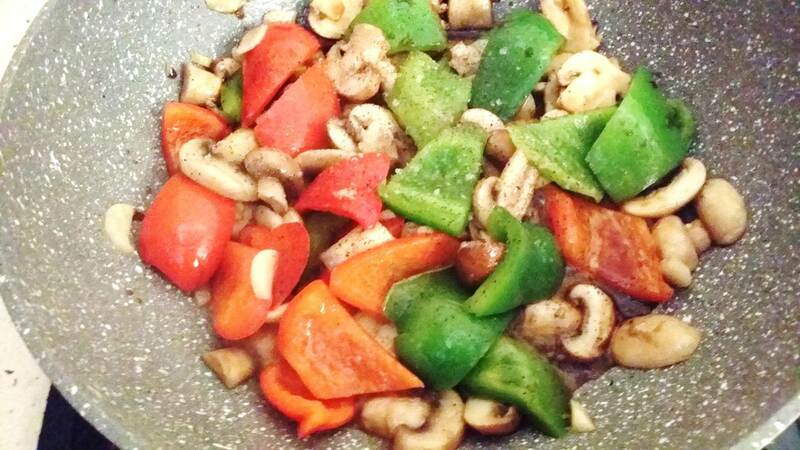 stir-frie and mix well. It's ready to serve! 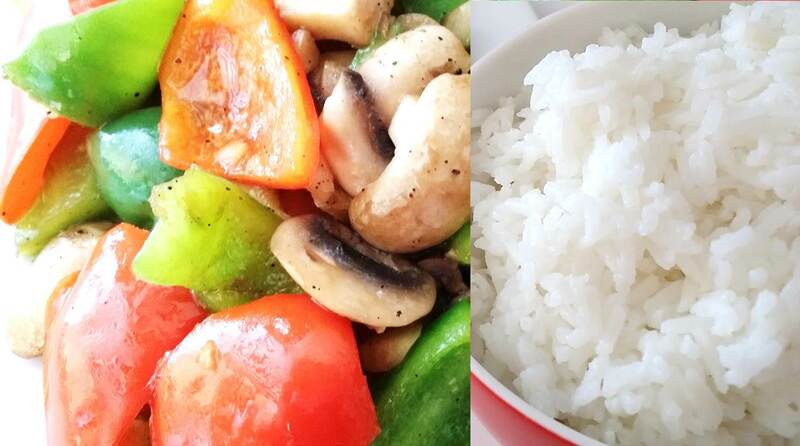 Serve with a bowl of organic rice. 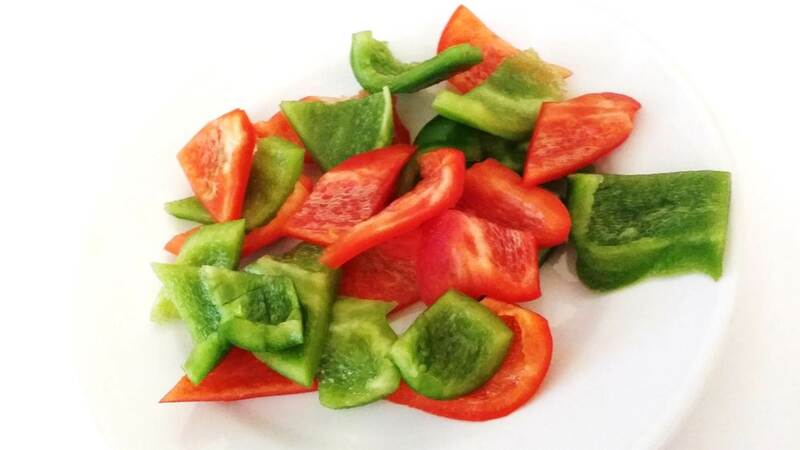 Very good appetite! 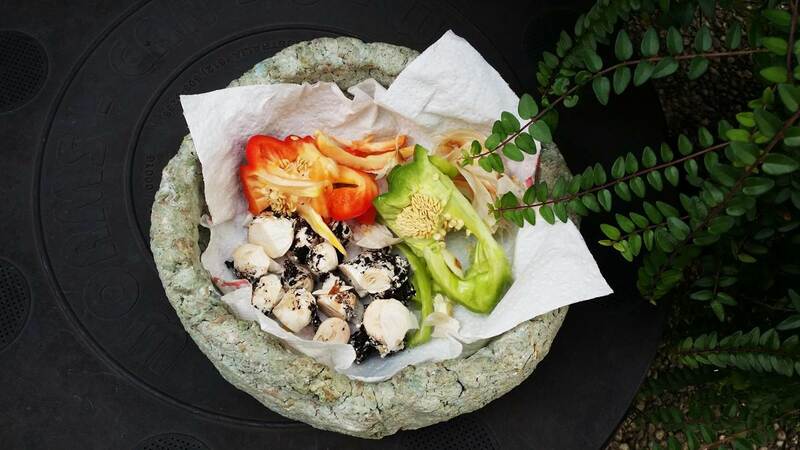 The earthworms of our composter need to eat too. 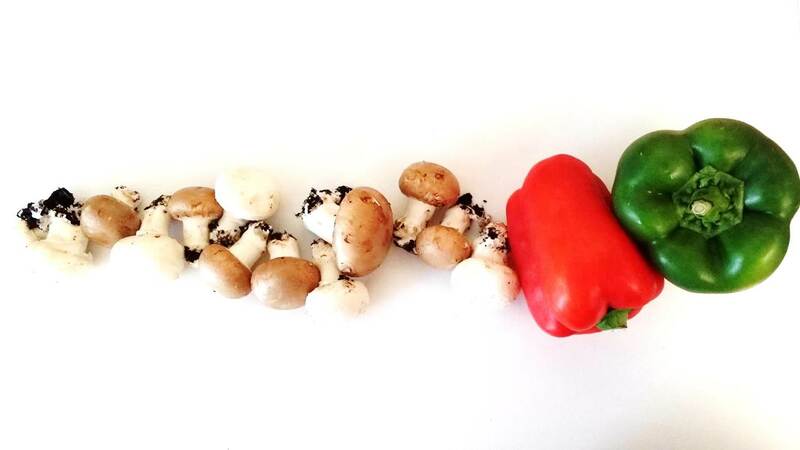 Here is a nutritious salad for them: pepper stalks, mushroom tips, garlic skin ... Bon appetite!